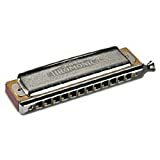 I am a new harmonica player trying to substitute shopping and technical research for practice and talent.I went out and bought nearly every diatonic harmonica under 40 bucks.Most fell by the wayside.I still use the Special 20 every day for a couple of reasons. The one I have is easy to play.And only the plastic cone touches your lips, not the brass plate that sticks out on lots of Hohners. (That's the only reason the Golden Melody comes in second for me. )Overall, it just feels really nice in your hand, smoother even than the non-stick Pro models. 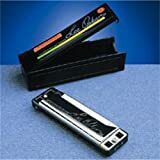 Unless you are shopping addicted, as I am, this is the only harmonica you are going to need for a long time. Includes keys of A, B, C, D, E, F, and G.
What? 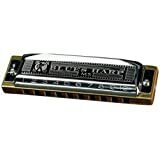 This harmonica is plastic! It's not that great. 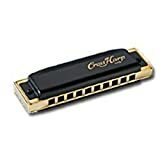 I was brought into buying it by the cheap price (I love to get a good deal) but it's just what the price says, a cheap harmonica. Not worth it. I've always wanted a better harmonica than my current beginner 20-hole, so I wanted to change to a 10-hole. I don't know what I was thinking when I bought this, I should have known better. But I've just put this one aside and continued practicing on my old one. Three stars were given just because it's for 2 bucks. 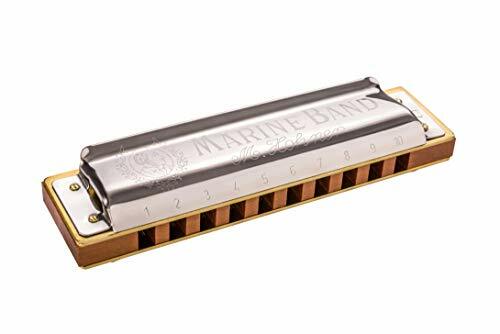 It does what it's supposed to do, which is make noise, But if you want something with a good tone and really good feel(this harmonica is way short, barely bigger than your index finger) than I suggest going for a more expensive harmonica. It really is worth it in order to get a good sound. 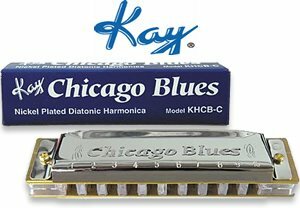 A truly wonderful 'Blues Harmonica,' really! 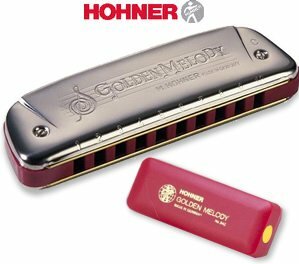 First of all it's a Hohner. This harmonica has a perfect size. His quality feels all over its construction. It's strong, yet friendly. Its sounds emerge purely and crystaline. But, at the same time it has that wonderful "blues" feeling that makes it such an special instrument. I like the tonality, the style of the air flow, and the wooden structure inside it. 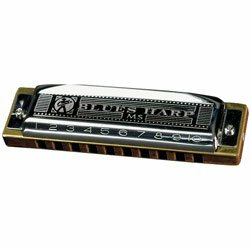 If you have never played an harmonica before, this is the one for you. If you are a master at it, you already know this is the best you can get. Go, get it, and enjoy for years to come! The 270 is probably the most widely used chromatic out there, and it is probably the harp you want to get if you are just starting out with chromatics. 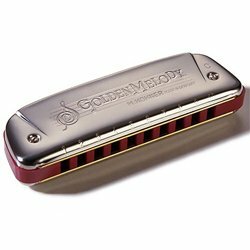 Its 3 octave range gives you access to plenty of music, and gives you additional freedom to improvise over a 10 hole chromatic. The quality of the instrument is consistently good for the price, and is nearly identical to the 260. 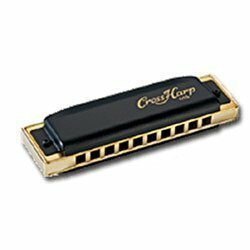 The playability of the instrument is perhaps not as good as the CX-12 or Super 64, but you probably don't want to spend double the cost of the 270 for those reasons alone, especially if you are just starting out (or are a casual player, I know the 270 served me well for nearly 20 years before I stepped up to the Super 64). A member of the Echo Octave series, this model features a wood body which adds resonance to the rich octave tuning. 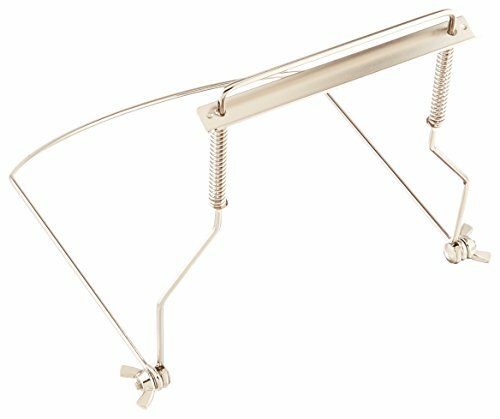 Open backed covers amplify and project the sound out to the audience, and the curved mouthpiece makes the high and low notes easy to reach.